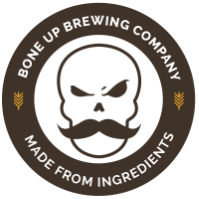 Find - Bone Up Brewing Co. The easiest place to find our beer is right at the source, but we're also on draft around the Boston area! If you have a place in mind you'd like to see us on tap, let us know! Want to grab our beer to go? We deliver freshly filled cans to Pemberton Farms in Cambridge every Wednesday! Need a keg for your office or home? You can order 1/6bbl kegs through Craft Beer Cellar Belmont or Fort Point! Bar manager, beer buyer, or restaurant owner interested in throwing us on a line? Get in touch, we'd love to meet you!